Overprotective parents usually desire to shield their children from abuse, harm, despair, terrible encounters, and rejection, from hurt emotions, disappointment, and failures. Whenever you listen to them, it seems wonderful to from the rear; however, give it a closer look and consider which experiences their children are kept away from having. You will discover it’s not an ideal practice that’s worth emulating. Recently, there is a new name to describe parents who hover over their children, especially when it comes to school: Helicopter parents! Over protective parents create continuous situations from which their children struggle to escape until eventually there is no escape as the fears have become part of the pattern for the child’s way of thinking. Where does Helicopter Parenting Come From? The desire to minimize, eliminate and manage risk is not unique to the domain of parenting. Indeed, “risk consciousness” is itself a central feature of modern life. The quest to understand, calculate, communicate, manage, and otherwise minimize or eliminate the myriad risks associated with our everyday lives has become one of the defining characteristics of modern post-industrial societies. In this context, the tendency toward helicopter parenting is not simply an isolated issue of overzealous parenting — a case of “ineffective parenting” or “over-parenting” that is somehow at odds broader cultural behaviors and tendencies. Rather, our wider contemporary obsession with risk and risk management actually expects and demands that we parent with a keen eye towards the various things that could possibly cause any form of physical or emotional harm, injury, discomfort, pain, or disappointment. One way out to this parental act is knowing and practicing Healthy parenting. How to resolve Helicopter Parenting? 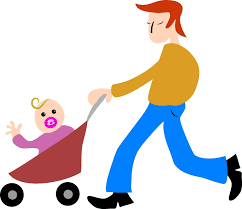 Healthy parenting is a process where a parent directs, coach and encourage a child’s healthy growth and development intellectually, psychologically and communally paving ways that promote his possible self-reliance. Kids need a parent who can be motivating and powdered, not piloting their affairs and limiting their independence. Imagine if a real helicopter constantly hovers above you, you will become uncomfortable. So also will are children whose parents hover on will feel their entire life. The perfect gift you can offer a child is self-confidence.